We all want to stop thinking about what he’s doing. We want to move on and be the woman we were created to be. We want a plan to stop sobbing, get back on our feet and start living our best life. RADiCAL is that plan! 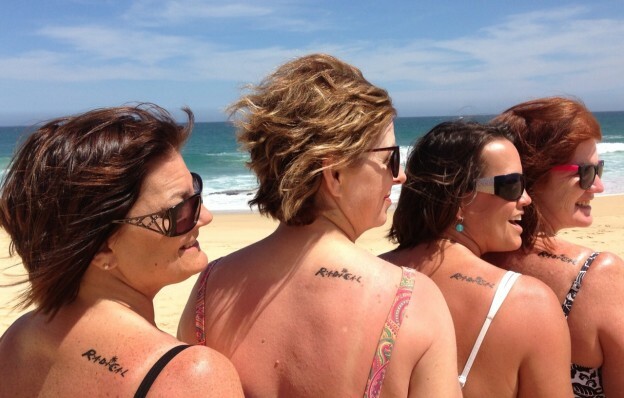 RADiCAL is a 10-week support group and course for women struggling with a midlife divorce. As you can see by the women to the right, this group isn’t about just moaning and groaning about how sad things are, but grabbing life by the horns again and creating the future we want. If you are interested in starting a RADiCAL support group in your community, at your home or in your church, fill out the form below and we will show you how easy it is to implement this amazing program. We have been helping separated, divorcing and divorced women for more than 10 years. Our program is practical and easy-to-lead. The group sessions are facilitated by using Suzy Brown’s Radical Recovery book, the Leader’s guide and the class member workbook. Your groups will cry; they will laugh; they will encourage each other on the way to a better place emotionally, physically, and spiritually. Our program helps each woman create her new best life … a life of adventure, fulfillment, purpose and fun. In classes we have hosted at churches, a significant number of the attendees come from outside the church. RADiCAL support groups are an incredible way to, not only provide proven recovery resources to your church, but to reach out to your community. It’s not uncommon for some women attending the groups to be stepping into a church for the first time in years or even decades. Or they might be trying church for the very first time simply because they are hurting and are willing to try anything to feel better. Never are they more open to what God has to offer than now. Over the last few years, we have been formalizing the program curriculum and refining it through feedback and what we have learned leading the groups. We have compiled the best and most practical recovery steps into a packet of materials for each woman. We have made the program easy-to-implement at your own church or community organization or even in your own home. A class coordinator helps keep the discussion on track and moving forward using our step-by-step RADiCAL Leader’s Guide.